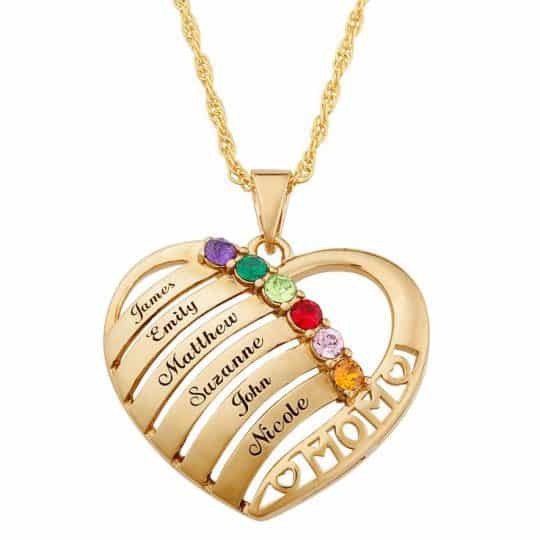 Our “Gold Heart Charm Necklace” is unique as is classic. 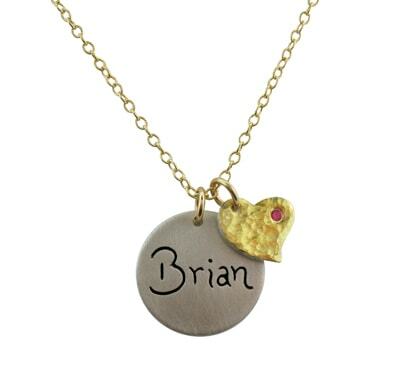 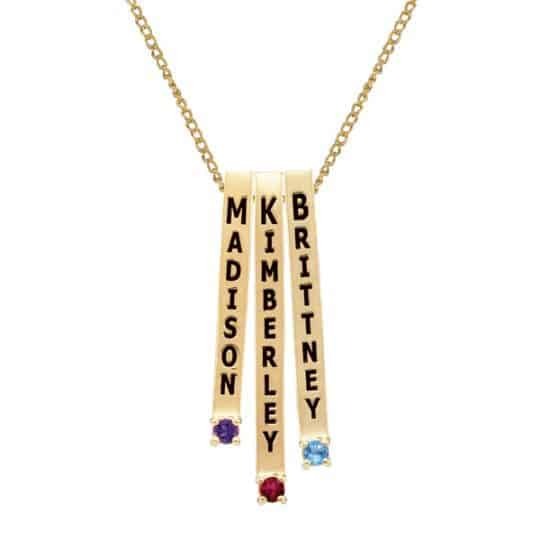 Necklace is accented with a handcrafted gold heart charm with ruby gem stone. 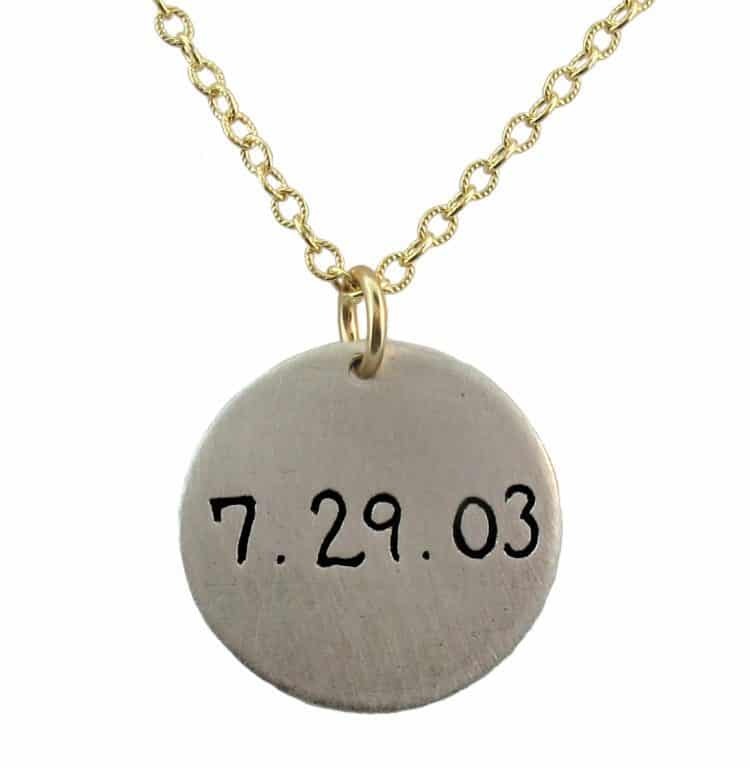 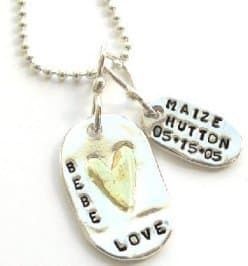 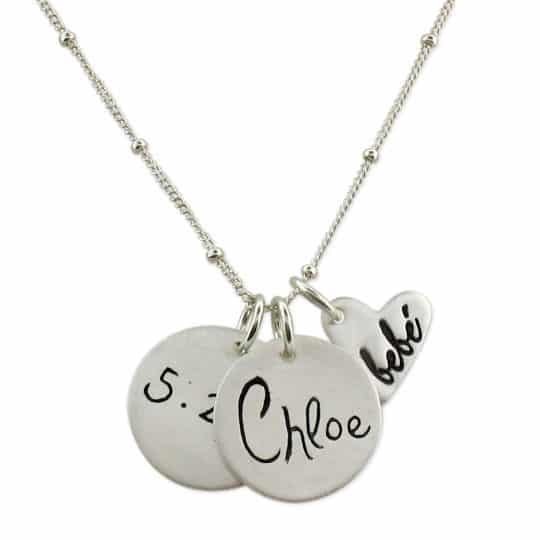 Silver disc charm is inscribed with name on the front and birth date on the back.